Summer is fast approaching and I know that as a Victorian fisherman we are eagerly awaiting the upcoming snapper season. 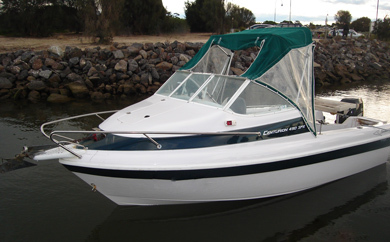 Whether you are here in Victoria of one of the many other beautiful spots around the country, this is the perfect time to think about installing a drum style boat anchor winch on your boat. Worried about the thought of spending yet another summer and fishing season manually retrieving your anchor? Do yourself a favor and buy a Savwinch for your boat. Its not too early to put in your order with Santa (aka the wife) for a Savwinch for Christmas. We have many reputable boat retailers that stock Savwinch on display and on their own boats. Or if there isn’t a Savwinch distributor in your area, buy on-line or ring us direct. We are happy to answer any of your questions and advise you on fitting for your particular application. Happy fishing this summer. And see you out there on the water!